"Vibrant, mineral-tinged red/blue fruit and allspice flavors show very good clarity and a building floral note." 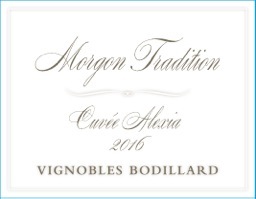 We are very pleased that Josh Raynolds of Vinous has given Vignoble Bodillard's 'Cuvée Alexia' 2016 90 points. Located in the heart of the Beaujolais region, the Vignoble Bodillard Estate has been cared for by the Bodillard family for 5 generations. Today, vigneron Renaud Bodillard cares for the family vineyards and has converted to organic farming methods, with biodynamic principles. The vines are 20-100 years old and each plot is worked according to it's topography, age and soil. The family, true vignerons, execute or oversee every step of the process, from vine to bottle. Newer PostW&S Gives Anella Crianza 2014 92 Points! Older PostMore Love for Marchiori & Barraud - 90 Points From Wine Enthusiast!